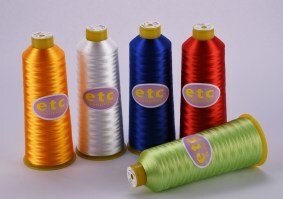 Try our quality range of ETC, Gutermann and Coats Embroidery and Underthread (Bobbin Thread). 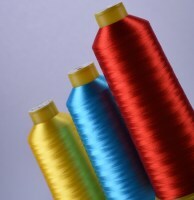 Our threads are made for use on Industrial embroidery machines. 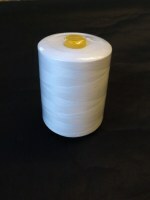 We do not cater for the retail market. 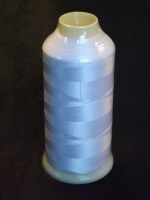 * Any embroidery thread should be used as quickly as possible. 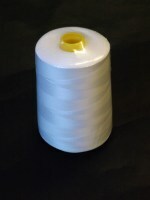 * If you leave a cone of thread on the machine or on the shelf for long periods of time without being used the thread can drop down and this will cause you knotting problems during use. 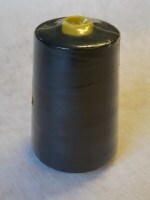 * Once the cone of thread has been unwrapped it should not be handled (taking on and of the machine) as this will cause the thread to come loose as you will be holding the cone by the thread. 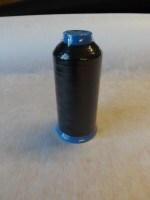 * When leaving embroidery thread on your machine or on the shelf for long periods we suggest spraying the thread lightly with our Fabric Silicone spray to protect the lubrication and cover the cone with a thread net. 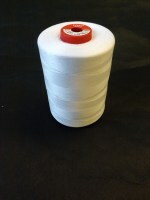 * Domestic emboidery machines have a different set up for the 'take up' of the embroidery thread.